When I set about writing the history of the Authors’ Club to commemorate the 125th anniversary of its foundation in 1891, the ground rules seemed clear. As this was the first full account of an organisation that has some bearing on literary history, I couldn’t make anything up, or leave out anything important. Since the Club’s records – the minutes, accounts and annual reports – were largely intact, and had not been drawn upon by any previous researcher, I quickly decided that the book would have to have endnotes giving citations, so that future scholars could verify my sources. Despite this scholarly apparatus, I was also determined that it should be a well-paced narrative that made an enjoyable read. I had no desire to compile an anodyne, self-congratulatory catalogue of honours and achievements of the sort put out by a Rotary circle or golf club. The records mentioned several previous attempts to compile a history of the Club, but for one reason or another these had never come to fruition, or had mysteriously gone missing. This was frustrating, of course; their authors had access to the memories of people long in their graves, and to documents now lost. But constrained by the proprieties of their times, they may also have omitted much that a modern reader would find interesting. Not that I am entirely free of the mores of our own. In an otherwise very kind review in the Mail on Sunday, Kathryn Hughes, the distinguished scholar and biographer of George Eliot, lamented my ‘descent into cautious politeness’ in the final chapter. Prior to the Club’s near-bankruptcy and reconstruction in 1908, the records are scant: just a couple of quarter-bound, marbled exercise books recording the minutes of the House, Library and Entertainment Sub-committees in spidery black ink, in which the literary lions of late Victorian London debate the replacement of a gas mantle in the lavatory and the purchase of some sixpenny cigars. Fortunately, this deficiency was remedied – and the haphazard nature of documentary survival brought home to me – when a search of the National Archives website revealed a cache of material in Richmond Local Studies Library. Like some more recent committee members, Douglas Sladen, one of our earliest secretaries, kept a great deal of Club paperwork at home. When he died, aged 91, in 1947, it all went to his local library. After 1908, the Club’s archive offers a continuous – if at times dry and uninformative – record of its affairs; this formed the skeleton on which to build my narrative. During the Club’s early years, many of its functions were reported in the press, which added detail. Some members (including Arnold Bennett and Malcolm Muggeridge) published diaries; several more, including Sladen, Charles Petrie and Anthony Powell, wrote memoirs that injected anecdote and the occasional dash of humour. For more recent events, I was able to draw on the articles that the late Edwin Robertson wrote on the Authors’ Club history for the Arts Club Journal and The Author. There was no shortage of raw material, then. But there were still decisions to be made that would, inevitably, be subjective. What to put in, and what to leave out? Do you pass swiftly over periods when, in your judgement, nothing terribly interesting happens, and dwell at greater length on moments of drama? How much background information on the social and historical context should be included? How much biographical information is needed about figures as well-known as Oscar Wilde and Conan Doyle? To what degree, and how, should the writer distance themselves from actions and opinions that a modern reader would find offensive, but were commonplace at the time? And beyond my own authorial interventions, tastes and opinions, I was aware that each of these primary sources also carried the imprint of its writer’s bias. Memoirs are notoriously self-serving (everyone is the hero of their own story); 19th- and early 20th-century press reports are generally obsequious towards the titled and the famous; and even supposedly objective documents such as minutes are interpretations that reflect the interests and style of the secretary of the day. It soon became apparent to me that even the most carefully researched, evidence-based work of non-fiction can never really be ‘the truth, the whole truth, and nothing but the truth’. The whole truth? Some records may have been irretrievably lost, misfiled or otherwise overlooked; some facts may have been suppressed for fear of a libel writ; some details the author or editor may simply have considered too trivial or too tedious to be worthy of inclusion. As for ‘nothing but the truth’, what history or biography is not coloured to some extent by the author’s subjective judgements? By speculation as to a person’s motives? By conjecture when an awkward gap appears in the record? Or simply by the desire to tell a good story, that has meaning and shape and sense. Graham Greene’s biographer Norman Sherry, for example, admitted that he did not know why Greene, offered a promotion by his MI6 boss Kim Philby, refused it and resigned from the service. He did, however, allow himself to speculate that Greene may have suspected that Philby was a double agent working for the Soviets, and did not want to be forced to choose between betraying his friend and betraying his country. Sherry was too scrupulous to present this as anything other than conjecture, but once such an idea has been raised, it is hard to dispel, and it has coloured our view of Greene. Then there is the matter of literary craft. Let us leave aside that species of academic writing in which any sensitivity to the rhythm and cadence of a sentence is viewed with suspicion as evidence of a fundamental lack of seriousness. The finest modern historians – Antony Beevor, Ian Kershaw, Simon Schama and the late, sadly missed Lisa Jardine – write like a dream. They have no compunction in deploying much of the novelist’s armoury: a compelling narrative trajectory; skilful juxtaposition and change of scene; suspense; deft character sketches. In doing so, they inevitably impose their view on the material; another writer, using identical sources, could paint a very different picture. The relationship of literary craft to factual accuracy is particularly relevant to another genre of which I have some experience: the travelogue. I have had the pleasure of sitting on the judging panel of the Stanford Dolman Award for travel writing, and over the years I have greatly enjoyed stimulating discussions about the parameters of the genre with such eminent practitioners as Sara Wheeler, Michael Jacobs and Giles Foden. Where would you mark the boundary between fiction and non-fiction in the work of, say, Bruce Chatwin, WG Sebald, or a psychogeographer such as Iain Sinclair? Michael once told me that he never kept a notebook on his travels, preferring to commit his experiences to memory. How accurate, I wondered, were his memories after many thousands of miles had intervened? More accurate, I suspect, than those of Patrick Leigh Fermor, writing decades after his epic walk from the Hook of Holland to Constantinople, tinged with nostalgia for a vanished world. Then there are what I might call the practical exigencies of travel writing. Colin Thubron’s The Shadow of the Silk Road is justly regarded as a classic of the genre. His 7,000-mile journey from China through Central Asia to the Mediterranean is presented as a seamless narrative, but in an author’s note he admits that he was forced to interrupt his journey by fighting in Afghanistan, and covered that part of the route later. Why spoil the reader’s enjoyment by objecting to this bit of literary sleight of hand? There is also the sad fact that in far too many parts of the world today, the travel writer must still disguise the names – and sometimes any other clue to the identities – of the people he or she meets along the way. Sometimes, the question of veracity goes deeper than such surface details. As a student, I devoured the works of the Polish foreign correspondent and travel writer Ryszard Kapuscinsky. 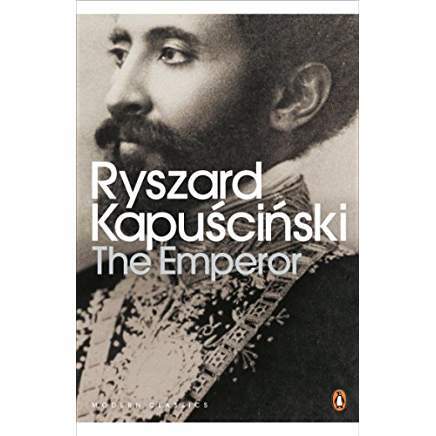 Then, in his 2012 biography of his colleague, Artur Domoslawski revealed that Kapuscinsky could not have been in some of the places he claimed at the time he claimed to be, and that much of his work would be more appropriately shelved under ‘fiction’. Yet I still consider Kapuscinsky a great writer; there is a dark and salutary truth to his work that goes beyond any question of literal accuracy. In the final analysis, there can be no such thing as a definitive history. Tastes and opinions change, and my history of the Authors’ Club is inevitably a very different one from any that my predecessors might have written. I omitted much that earlier historians might have thought worthy of record, but which a modern reader would find dull, and made no attempt to downplay crises and controversies that they would probably have preferred to suppress. Whatever our apparatus and however controlled our genre, fact is inextricably entwined with fiction. Let me leave you with an anecdote. A few years ago, I arrived at a castle in Austria just as dusk was falling. Perched on a jagged outcrop commanding views into Hungary, Croatia and Slovenia, Burg Bernstein was once the home of Laszlo Almasy, the protagonist of Michael Ondaatje’s novel The English Patient, and the film starring Ralph Fiennes. The real life of the Hungarian aviator bore little resemblance to that of his fictional alter-ego: far from having a doomed affair with Kristin Scott-Thomas, he preferred young men; and far from being killed in the war, he survived into the 1950s, when he succumbed to a tropical disease contracted on his travels. Over dinner in the candlelit hall, his urbane and charming grandson, Alex Berger-Almasy, was relaxed about the fantasy Ondaatje had woven around the life of his grandfather.